In response to the Sandy Hook tragedy, we offered FREE concealed carry handgun courses for teachers. These are a few of the awesome educators who took us up on it. 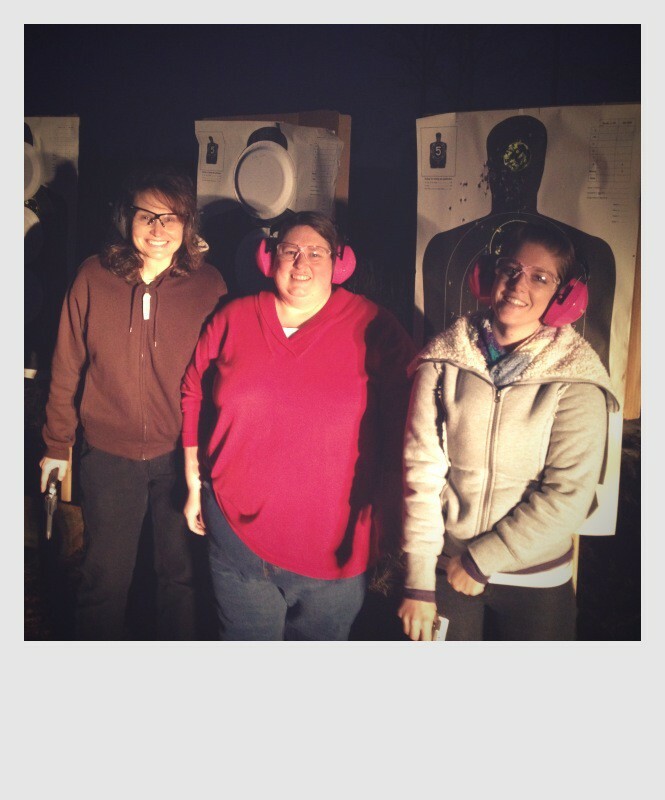 Check out the headshots on that silhouette target…NICE! Apparently, our response to the Sandy Hook tragedy was…unorthodox? Only one or two other gun schools in the country gave free CCH classes to teachers, and as it turns out, we were the only Krav Maga school in North Carolina (or the world, for that matter) to do it. And it turned out to be a good thing; classes filled up overnight. Many people have inquired as to why we responded to Sandy Hook the way we did. Well, while many groups are quick to blame firearms for shootings, we at TKM recognize that individuals, not their tools, are ultimately responsible. Nearly every mass shooting in our generation was committed in a “gun-free zone”, locations where law-abiding citizens are not allowed to carry firearms. These “gun-free zones” represent a tremendous failure in our society, and that is our failure to place blame where it belongs, and that is upon the perpetrator. We now know that shooters like James Holmes have intentionally chosen “gun-free zones” like the theater in Aurora, one of the only theaters in the area to forbid concealed carry, because he knew that no one would be able to shoot back. As we have seen throughout history, restricting firearms only deprives law-abiding citizens of the right to self-defense. Banning firearms is a negative solution; we chose to respond in the positive. Banning cars is not the way to end drunk driving. Banning water is not the way to prevent drowning. The answer is not prohibition. The answer is more education and training. With that in mind, the TKM staff were thrilled to see many teachers enter with an attitude of timidity, but leave with an air of confidence. And some day, soon perhaps, when teachers are allowed to be armed on school grounds, you will see a dramatic drop in school shootings. Mark my words.